If you are looking to develop a property with attached duplex dwellings on the Gold Coast there may be an easier way for you to get planning approval and reach construction more quickly if your property does not have the zoning which is preferred for attached duplex development. At Latitude Town Planning we have been working on a few of these applications and they are particularly relevant to sites within the Detached Dwelling Domain (zone), and if you are willing to provide detached dwellings instead of attached dwellings. 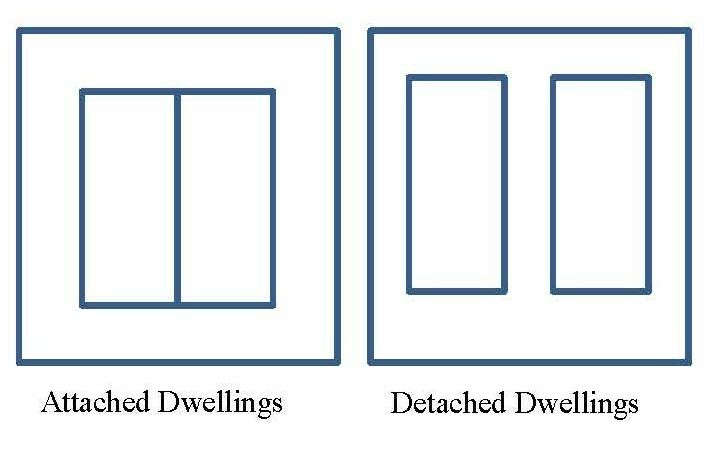 Typically attached dwelling development is not preferred in the Detached Dwelling Domain and requires the highest level of assessment, higher costs and public notification. So you can possibly make all the difference by changing from attached to detached dwellings. By providing detached dwellings you can effectively reach the same development outcome, being two units on one lot (Eg 1/12 and 2/12 Name Street). Whilst generally still needing planning approval it is noted that in a lot of instances development may benefit from the Risksmart assessment process, whereby Gold Coast City Council provide a quicker turnaround time for planning approval decisions. 2 parking spaces required for each dwelling. If you want to develop a property and were thinking of a duplex, contact us now as we may be able to provide an alternative solution that still results in two dwellings, but may be able to benefit from a quicker timeframe. And the quicker you can get planning approval for your development the quicker you can build and benefit from your investment. Contact Katrina on (04)-24-141-187 or katrina@latitudeqld.com.au if you would like to discuss your options.